This entry was posted on Monday, June 28th, 2010 at 01:04 and is filed under Fedora. You can follow any responses to this entry through the RSS 2.0 feed. You can leave a response, or trackback from your own site. 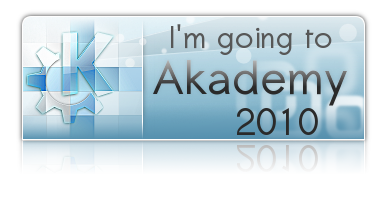 Keep an eye open for the confused looking American in a Fedora or KDE tee, i’ll be there 😉 Also, Jaroslav Reznik will, and maybe some other SIG members.